“Mom, I feel sick,” said my son. He complained of a headache and had a slight fever. The next day he was covered with spots. 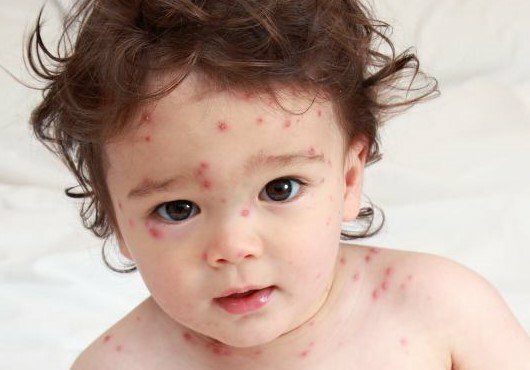 A classic case of Chicken pox was the doctors verdict. His room became the hot spot and was quarantined from the rest of the family and the maids. He was too miserable to notice and constantly kept whining about the itching. He didnt sleep, nor did he let me sleep. My under-eye circles just became darker. Vijaya, my friend, on learning of my sons condition suggested the use of Neem leaves. Where can one find Neem leaves here in Jakarta? On asking around there was not one but two easily accessible trees, one in Cempaka Putih and the other at the Shiva Temple in Pluit. Made a special trip to Cempaka Putih Timur and had the driver climb up the tree to pluck bunches of Neem leaves. Keep a bunch of leaves in a glass of water by the bedside. Crush, squeeze in bath water for itch control. Make paste with leaves and apply on blisters to promote healing.